THE HSE HAS been criticised for not disclosing waiting list numbers for MRI scans, CT scans and bone scans for the past three years. Fianna Fáil health spokesperson Billy Kelleher has requested that the HSE publish figures on the number of people waiting for these critical diagnostic scans in hospitals across the country. The HSE’s response has been similar for each of the Cork TD’s three annual requests: that they’re unable to collate the figures and are working on a system to do so. In summer 2015, Kelleher was told that the HSE is “continually working to improve, expand and learn from those Key Performance Indicators on which hospitals report” and would begin collecting national data from 2016. In 2016, in response to the same request, the HSE claimed that it is “continually working to improve and monitor performance” and was “working to establish a system to track waiting lists for a range of diagnostic procedures”. It said that the reason why it hadn’t been done yet was because “such a system requires significant testing and validation which, in time, will facilitate the production of national data reports … for diagnostic waiting times”. It added that a pilot programme had been developed to test a method of collecting the data. This summer, in response to the same request, the HSE repeated its response from 2016. “It’s simply ludicrous that after all this time the HSE cannot provide this information as a matter of routine,” Kelleher said. “Every month the National Treatment Purchase Fund publishes validated waiting lists for in-patients, day cases and outpatients across an enormous range of specialities. It should be given the responsibility for these waiting lists as well since the HSE has proven to be completely incompetent when it comes to compiling and providing what should be standard information. Earlier this year, the National Treatment Purchase Fund (NTPF) came under criticism after it looked as though the waiting list figures they published were far lower than the real numbers, and it was revealed that there were two other unpublished waiting lists. A European-wide assessment of Ireland’s healthcare system published in January also found that Ireland has the worst waiting list times when it came to its hospitals’ accident and emergency units. The HSE did disclose the number of public and voluntary hospitals that carry out MRI scans, CT scans and bone scans, which was also part of Kelleher’s query. 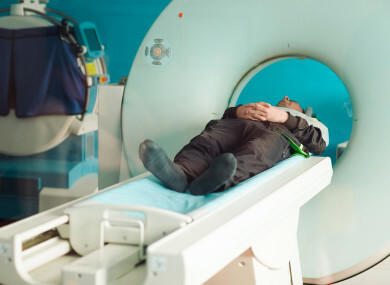 It included 39 hospitals for CT scans, 29 hospitals that carry out MRI scans, and 13 hospitals that facilitate bone scans. Email “HSE criticised for not knowing length of waiting lists for CT and MRI scans”. Feedback on “HSE criticised for not knowing length of waiting lists for CT and MRI scans”.